Parents and twenty children from Southwood Family Pre-School have been exploring the woodland today. Clutching pictures of animals to find, they spotted butterflies then turned over logs unearthing bugs and beasties. 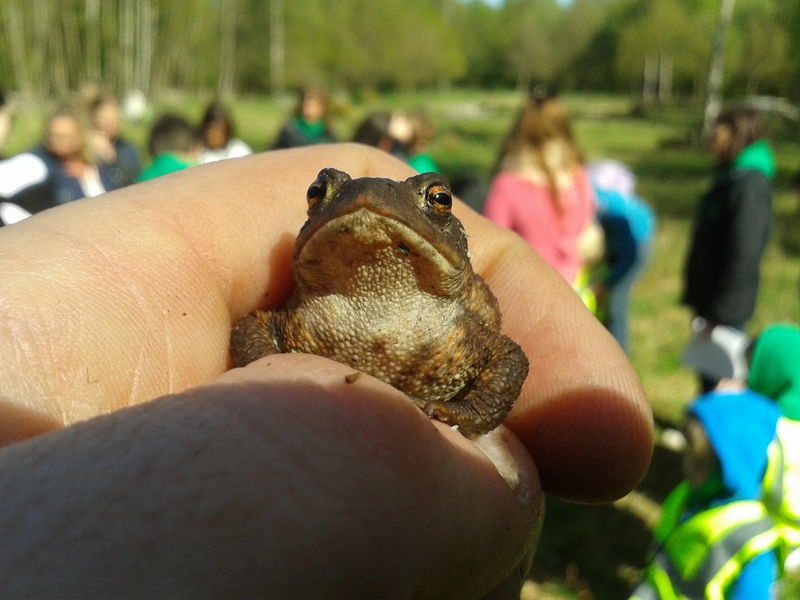 Some children carefully held a large black beetle, with Mr Toad proving the most popular animal. This entry was posted in Conservation, Events, Southwood Woodland, Wildlife and tagged School, Southwood Woodland, wildlife. Bookmark the permalink.